What Do We Forget When We Remember? 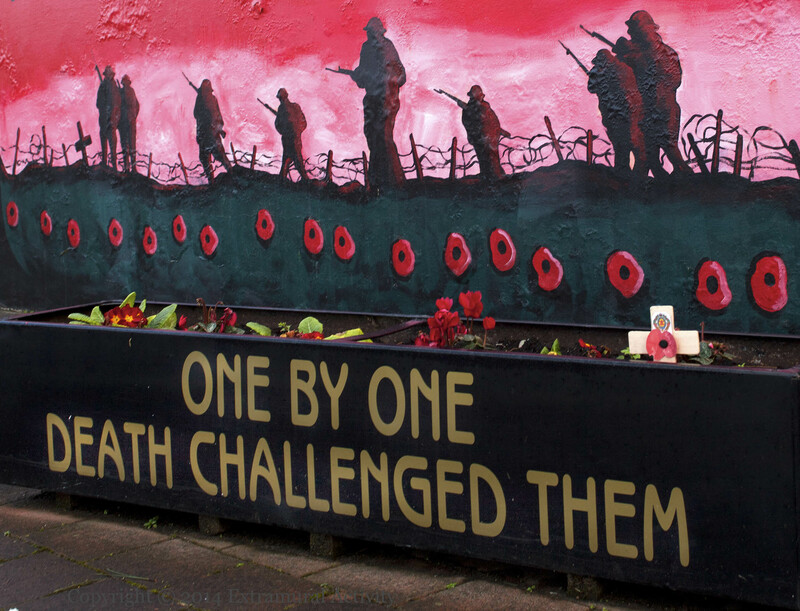 Two poems are featured prominently and another two alluded to in this Newtownards mural and memorial garden to WWI soldiers. 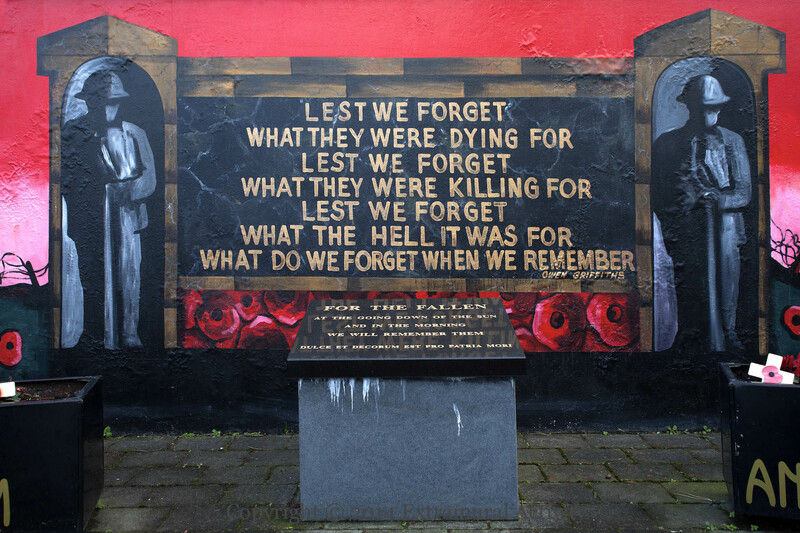 The main panel features part of a work by Owen Griffiths – Lest We Forget. 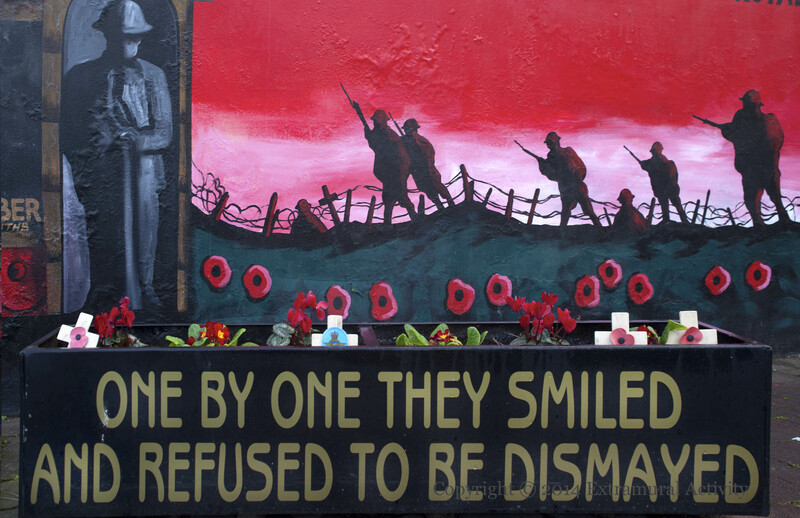 Robert Laurence Binyon’s For The Fallen is featured on the stone, above a line of Latin from Horace’s Odes (III.2) – On Virtue (which most famously re-appears in Owen’s Dulce Et Decorum Est). 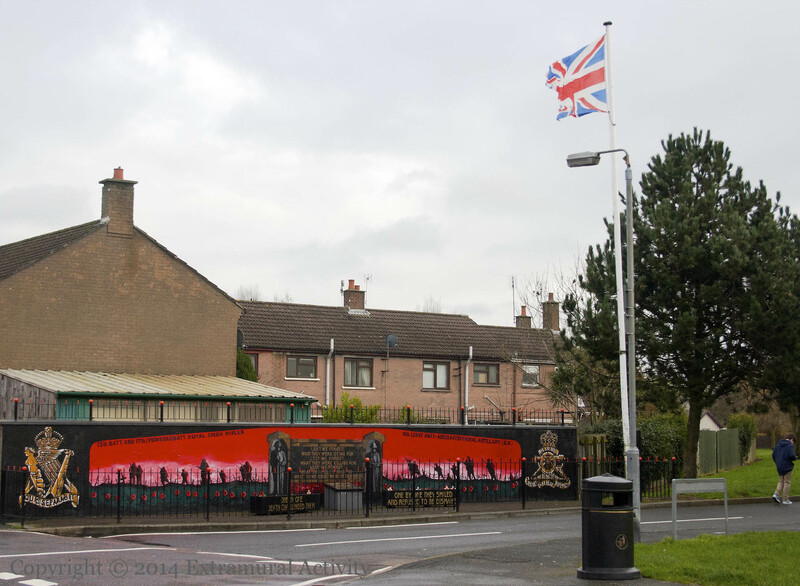 On the left and right (see the wide shot at the very bottom) there appear the mottos of the Royal Irish Rifles – ‘Quis separabit’, which comes from Romans 8:35 – and the Royal Artillery – ‘Ubique – Quo Fas Et Gloria Ducunt’, which comes from Kipling’s Ubique.